Remember a while ago I bought this stash of Urban Circus fabric from Laurie Wisburn. 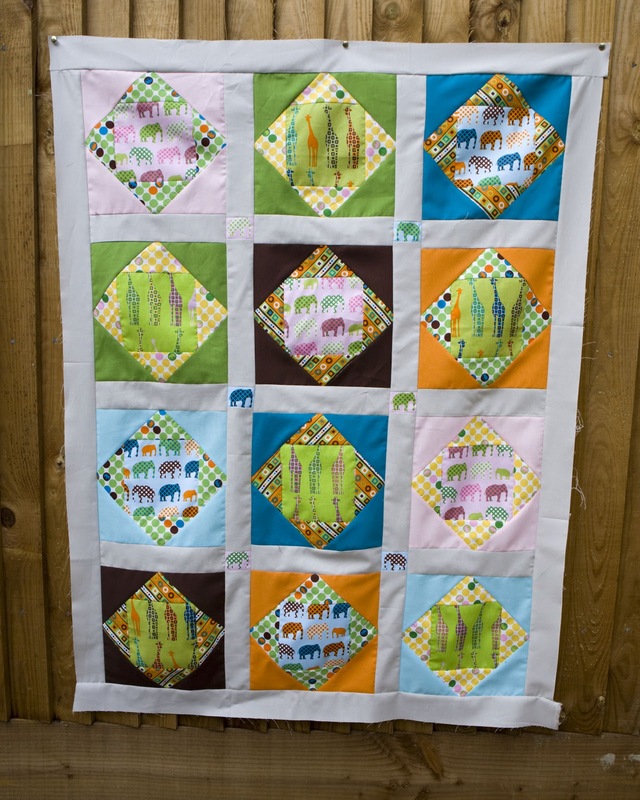 I adore the colours and freshness of the collection and aren't the elephants cute ! 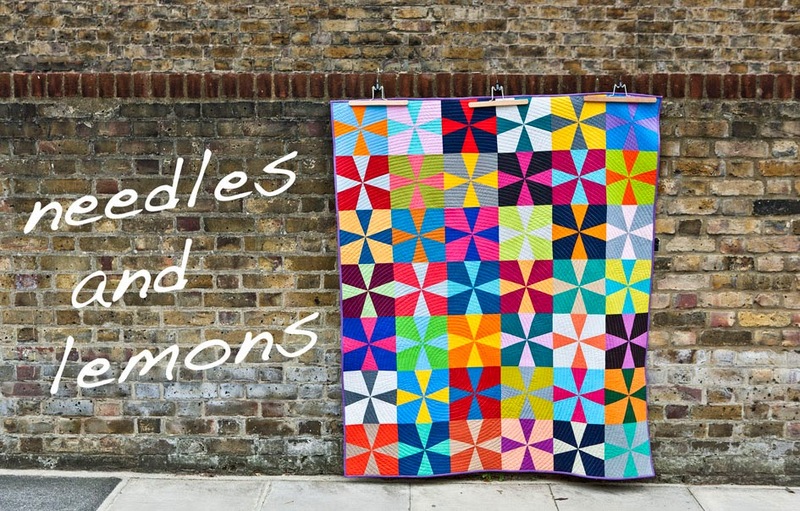 I had these earmarked for a quilt for my neighbours who just had their first child. I didn't know if it was going to be a boy or a girl so I chose something fairly gender neutral. Monty has finally arrived on boxing day (what a great name !) and it is time to make the quilt. I was set to make something with pinwheels as I hadn't tried these before. But I quickly realised that this wasn't going to work as the lovely pattern of elephants and giraffes disappeared. I mean who wants to look at horribly mutilated giraffes ! So I went back to the drawing board. 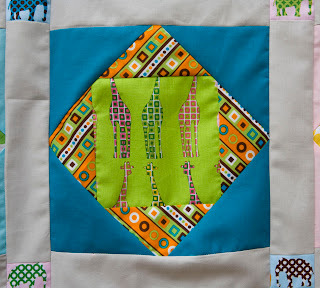 The best way to showcase this fabric would be squares but just squares are a bit boring and I have already two quilts that are done just with squares. 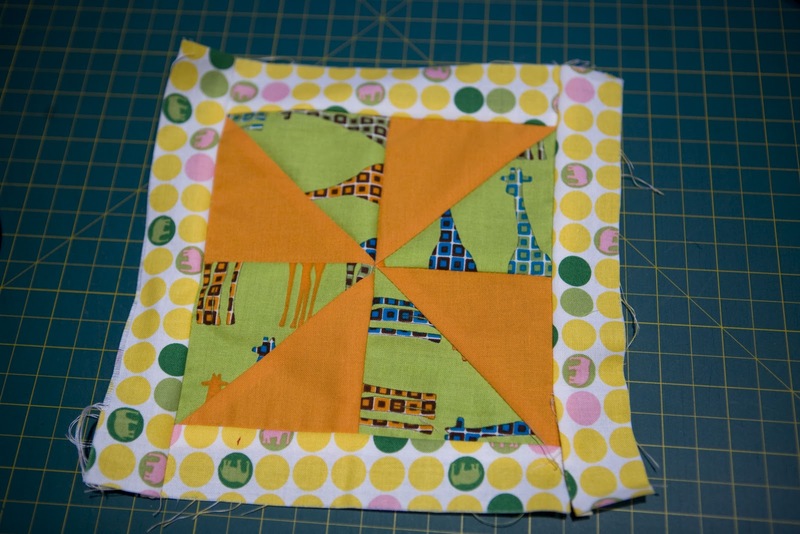 Still set on the use of half square triangles I looked through books and magazines and found in the 2nd edition of last years Fat Quarterly a design by Jennifer Davis that uses both ! 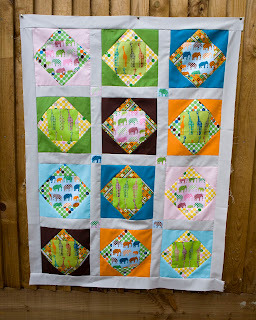 Please have a look at her Circus Monkey quilt here. 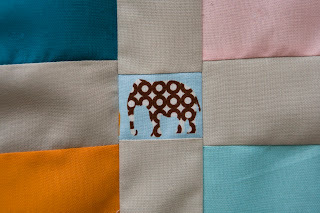 And Katy Jones from I am a ginger monkey also used a similar design, see here. The later I think appeared in the holiday edition of Fat Quarterly however I don't have this so can't really say much about it. So the top looks like this and I am very very happy with it. I has a colourful yet contemporary look about it whilst showcasing the animal pattern well. I used the entire Urban Circus collection but added four different colourful solids to it as a frame. In addition I added sahing around the blocks. In the connecting sections I used little elephants I fussy cut out for them in order to stand out. The solids are all from Kona. Isn't the Caribbean colour wonderful ? Baby Pink or Dusty Peach (can't see the diffrence to be honest). The sashing is done with Ash. Hopefully Monty's quilt will be done by the weekend. Tomorrow there will be a further update on the Cranberry Crush quilt that is indeed coming on very nicely. 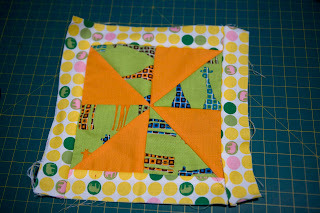 I love this pattern and have a baby quilt to make. 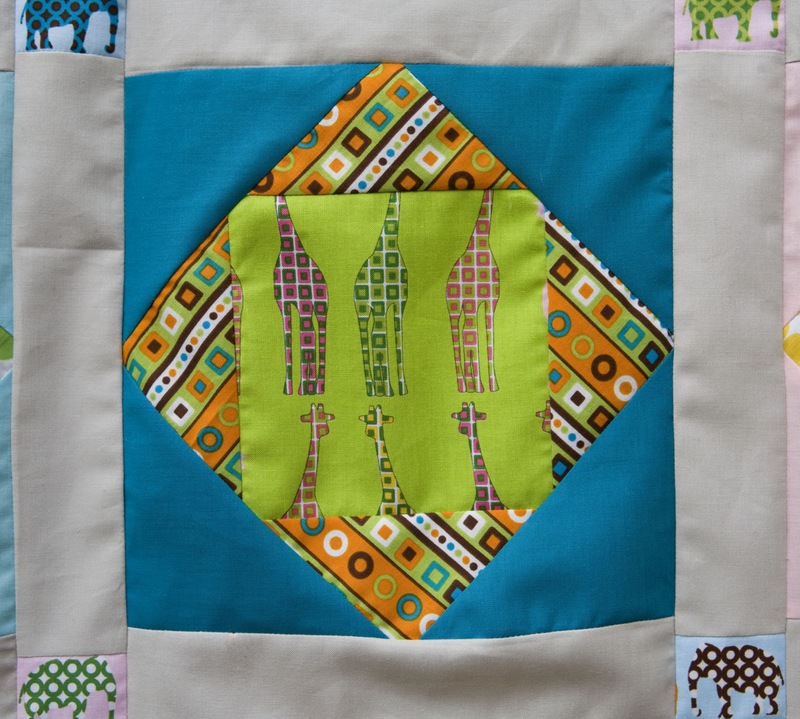 Is there a block pattern online to use?